Composed while a captive German prisoner of war, Olivier Messiaen's "Quartet for the End of Time" resonates with thematic expression of his wartime experience. In the preface for the chamber piece's score, the late expressionist composer cited excerpts from the Book of Revelation in reference to the war's effect on the historic continuity of Europe, as detailed in Alex Ross' "Revelations: Messiaen's Quartet for the End of Time". The piece predating his Modes of Limited Transposition, which he abstracted from the systems of material generated by his early compositions and improvisations. Messiaen's output in this mode defies the conventions of forward motion, development and a often a rejection of the conventional cadences found in western classical music. His two great inspirations originate particularly from the music of Claude Debussy and his use of the whole-tone scale (which Messiaen referred to as Mode 1 in his modes of limited transposition). As well as from his great admiration for the music of Igor Stravinsky, particularly the use of rhythm in earlier works such as The Rite of Spring, and the composer's use of tonal color palette. As described in his multi-volume theory treatise "Treatise of Rhythm, Color and Birdsong", the importance of color is linked to Messiaen's personal synesthesia, which he said caused him to experience perception of colors when he heard or imagined music. The treatise also sheds light on the composer's other great passion and source for much later musical inspiration; Ornithology. While predating the Messiaen's ornithologically-focused works, in this month's performance of the chamber quartet at St Mark's Cathedral, the groundwork can be heard for his development of the later Modes of Transposition. In many ways the work remains a striking representation of form and a precursor to, "Messiaen: A Life of Finding Salvation in Birdsong", by this notable 20th Century composer. While 2019 will mark the final year of his tenure as conductor and programmer at Seattle Symphony, since his arrival in 2011, Ludovic Morlot has launched a number of significant modern music initiatives. Alex Ross positing that from the week of his debut, the conductor not only stepping out with a strong start musically, but a reshaping of the orchestra's image, effectively in many ways, the "Symphony’s New Leader Took Seattle by Storm". Not least among his accomplishments, the late-night [untitled] chamber music series which brought contemporary works back into symphony's lexicon, after almost a decade of being remiss in the frequency of their performance. 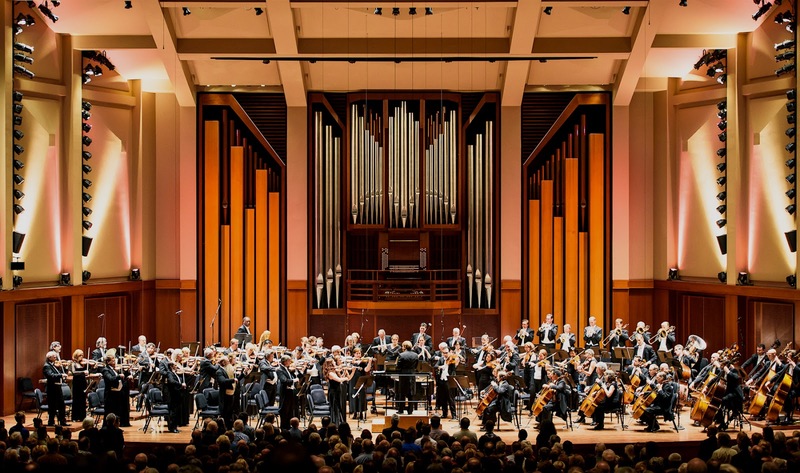 Morlot brought a higher profile and further prestige to the city with his commissioning of "John Luther Adams Pulitzer Prize Winning 'Become Ocean'" which was recorded with the Seattle Symphony in 2013. This month sees the conductor's hand at work in a night of chamber works by Giya Kanchelli, Bedrich Smetana, and Alfred Schnittke, as well as Adams' continuation of the cycle, with the premier of "Become Desert". Yet the seasonal [untitled] program may prove to be Morlot's greatest work during his tenure in Seattle. The series' installments cumulatively reading as a who's-who of 20th/21st Century avant-garde and modernism, including in its breadth the works of George Crumb, György Ligeti, Iannis Xenakis, John Cage, Terry Riley and Giacinto Scelsi. Other high points include 2015's performance of Karlheinz Stockhausen's groundbreaking electro-acoustic, "Gesang der Jünglinge", and the series' initiation with the realization of Olivier Messiaen's rarely performed, massive symphonic work, "Turangalîla".